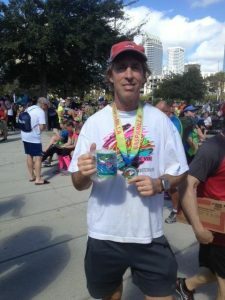 Did the 15k on 2/25/17 and got 5th/244 in my age group for my highest finish ever at Gasparilla. At 67:47, only six seconds slower than last year, when it was 53 degrees and dry at the start, compared with about 69 and muggy this year. Plus I’m not getting any younger!